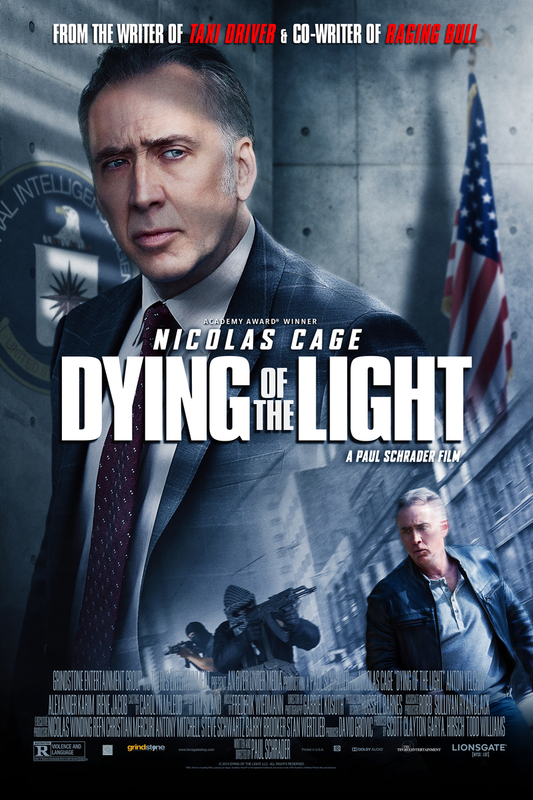 Dying of the Light DVD and Blu-ray release date was set for February 17, 2015. A C.I.A. agent, Evan Lake, is brutally tortured by a terrorist known as Muhammad Banir. The C.I.A. save Lake and kill Banir during the the extraction. Many years later, two events change Lake learns that Banir is still alive. He's also swiftly forced to retire after doctors diagnosis him with the early stages of Frontotemporal Dementia. Evan's only thoughts are of finding Banir before it's too late. With the help of a young agent, Milton Schultz, can he prove to the C.I.A. and himself that he's still a man of action who has what it takes to take down Banir?